It could be said that it is unfair for people who sacrificed their lives in the wars against the Chinese have been forgotten. The Ministry of Education and Training said that Vietnam’s defence against China's 1979 invasion, the battle of the Paracel and Islands against South Vietnam in 1974 and the Battle of Spratly in 1988 have already been covered in school history books, but readers have claimed there is insufficient detail. Nguyen Quang Ngoc, deputy chairman of the Vietnam Historical Sciences, said that, “it is vital to include Vietnam’s successful defence against China's 1979 invasion of the north in a more appropriate way as it was a major conflict. It is right to include it”. Former State President Nguyen Thi Binh said that the war was a historical fact, so it should be mentioned sufficiently to ensure that the country’s history is correctly remembered. We not only honour heroes in the war against the French and Americans, but also those who took part in the 1979 border war. We remember the contributions of those who fought in the French and American wars, but why we have forgotten the conflicts against the Chinese? We honour Heroic Mothers in the French and American wars, so we should do the same for the defensive wars against China. 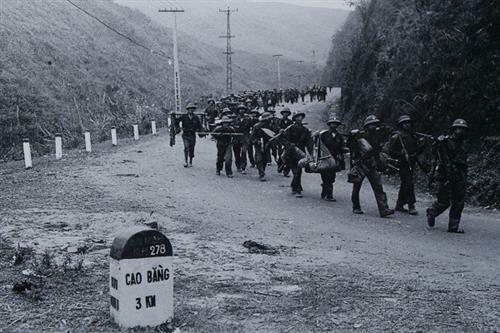 Tens of thousands of Vietnamese people sacrificed their lives to defeat the Chinese to protect the country, however, to date, they have almost been forgotten. Deputy Minister of Education and Training Nguyen Vinh Hien said that the ministry has received lots of opinions from the public and historians alike who agree that Vietnam’s wars against China as well as the Cambodian Khmer Rouge should be included in school history books. Hanoi National University vice director Vu Minh Giang said that the ministry should add more details about the wars against the Chinese to history books as soon as possible.